Apparently short of actual adventures, teens and 20-somethings are sneaking into chain stores and restaurants, including McDonald’s, Walmart, Chuck E. Cheese’s and IKEA, staying all night and posting videos online as evidence. A YouTube search for 24-hour overnight challenges turns up 1.6 million results. The WSJ investigative reporting includes shots of way-too-tall people in ball pits or McDonald’s playlands, or sullenly hanging out in the aisles of a Walmart. Basically, what the kids all say is that this trend is really boring. And yet, they keep doing it and posting videos consisting of several minutes of dumb foolishness. 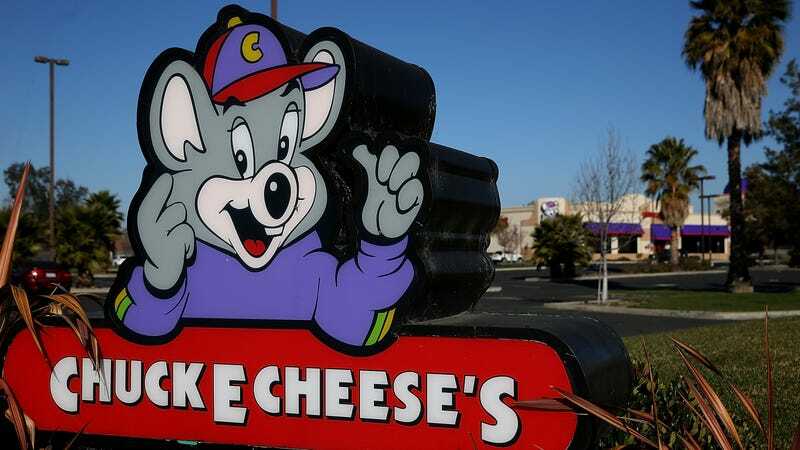 A Chuck E. Cheese’s spokesperson says that they suspect their own staff, telling the WSJ, “Some of our cast members may have gotten in trouble for helping.” Ha, cast members. We’re on to you, Jasper T. Jowls. We couldn’t help but wonder if some of the kids might in fact be inspired by the surprisingly robust cinematic trend of people having fun staying overnight in department stores. Is the lesser John Hughes vehicle Career Opportunities having a resurgence? Sorry kids, a teen Jennifer Connolly is likely not waiting for you at Target. But perhaps a mannequin that comes to life and dons a variety of inspired costumes? Or, just giving birth in a Walmart to be surrounded by a supportive community and plenty of baby supplies? Once again, the crashingly mundane reality fails to live up to the cinematic hijinks of roller-skating through the aisles. Ask The Salty Waitress: Are menu substitutions a middle finger to the chef? How will Trump’s tariffs affect your food budget?